If you use a Tube Amplifier then sooner or later you will get tube problems. 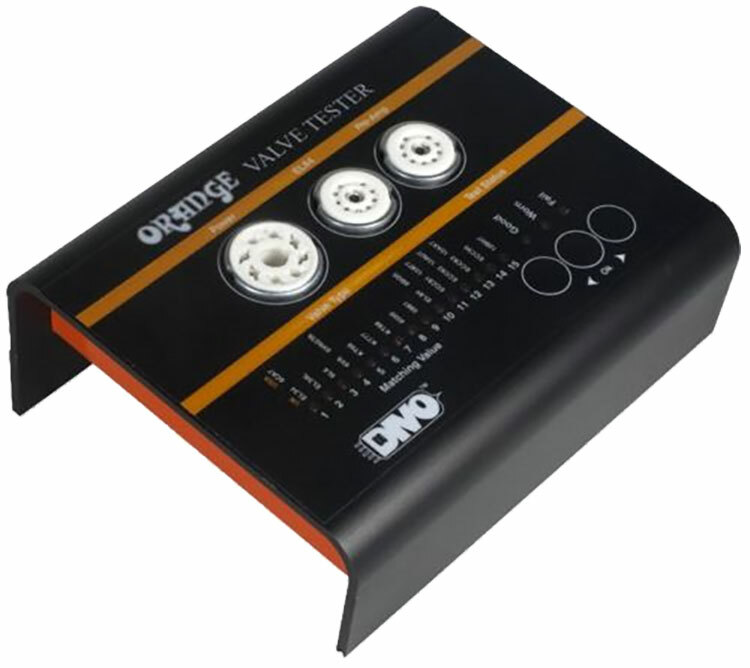 Check out the VT1000 valve tester from Orange to see if it's really any good, worth the money or you should pass on this test equipment. Tube problems on your amp can cost you a fortune or kill your amp forever. Find out if the VT1000 can help save it! I'm sure you have all seen those old tube or valve testers that come up from time to time on eBay right? Well, if you have then it's likely that you know what one is for. If not, and you use a tube or valve guitar amplifier then the tubes inside the amp can fail causing untold damage to your amp. Tube testers can check that the tube is serviceable and even on some gear tell you how long they have before they reach the end of their life as inevitably they will. Nothing is forever! This unit is relatively expensive at over £300.00 here in the UK and expect over $450 in the USA and similar Euros. It is made from what appears to be folded aluminium that has been anodised and screen printed to make a nice design. The VT1000 handles octal type tubes such as the common ones many guitarists are familiar with like EL34, 6L6, KT77 and KT88's (there are others) and of course preamp tubes like the 12AX7 and ECC83 style that can all be tested and to some extent determine the 'matching' between power tubes. Operation is simple and there are virtually no tasks to complete except pressing a button for the determination of the particular tube that you want to test. Testing can take a while for each tube; the VT1000 counts down slowly until all tests are complete and does indeed pass current through the tube. Continual use of the test facility on the same tube will indeed leave the tube in a fairly warm condition. If there is a failure the VT1000 reports that the tube has failed so you can throw it out before it damages your amplifier, but if the tube passes the tests there is an indication showing the tubes overall condition and what I would call a measure of the tube that you can compare with other tubes you test to try and achieve some sort of matching of pairs for many amps such as Marshall and many others that work in 'pairs' of tubes. Matched tubes offer a 'best fit' in any 'push pull' sort of configuration and basically this means that thw two tubes will work together better than two tubes that are not matched. Unfortunately there is no exact measurement from this tube tester so it's a little bit of guess work to get there - but it is possible - just. The Orange VT1000 is not infallible either! in fact I have seen it report a tube that is known to be faulty as a 'good tube' and for me that was a little concerning. I did test the 'faulty' tube about 10 times and eventually it did show up as a failure but having to test the same tube over and over is unreasonable and I doubt that many users would take the trouble to retest the tube over and over as I did. The unit did however identify a failed 12AX7 within about 20 seconds of the test. Build quality internally is good. Its a typically Far Eastern manufacture that I would rate at about a seven regarding build quality which means that simply put, there has been care taken in the manufacturing process. For example, the quality of the build of the VT1000 is actually better than say the Orange Jim Root #4 I reviewed also made by Orance in the Far East. There is little to nothing to see internally unless you strip the unit down as you will see in the video below but you can get a reasonable view of that important overall quality. 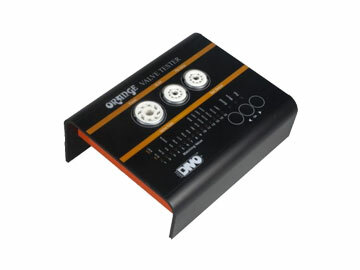 Power to the VT1000 is from a switched mode power supply and cable that plugs in to the back of the tester and is adequate for the needs of non professionals. The biggest issues have little to do with the overall hardware quality, but rather to do with the operational testing that the tester works through and the complete (almost) lack of reporting available to the user. Instead, the tester trundles on through the test at it's own pace and at the end reports good or bad. The problem is highlighted by the failure of the device to identify a bad tube for ten tests. This is not shown in the video and is something that I determined with a KT77 removed from a Diezel Hagen amp that had blown tube failure while I actually saw it fail. Luckily I turned the amp off very quickly indeed. But a tube tester of the older type that shows measurements as it tests the tube would probably identify that faulty tube while this VT1000 from Orange did not. The score in the video can therefore be reduced to about a 6 out of 10 as I don't feel that any tube tester that can't identify a faulty tube this side of ten retests is that great. Having said that, it successfully identified other blown tubes but I cannot recommend the unit as being a must buy because of my own experiences since the making of the video review. I would suggest therefore that this tester is suitable for non professional use and for guys with very little experience where high voltages are concerned but they want some idea about the general condition of the tubes in their amplifier. But don't completely depend on only this unit, treat it as a quick test bench where on some rare occasion the unit does not identify a failed tube correctly as indeed it should. Here is a video from my YouTube channel showing the 'inside and out' review and including some real time testing of tubes.